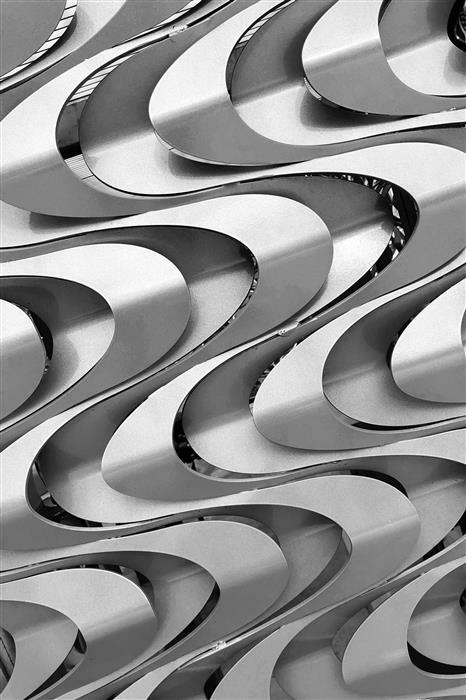 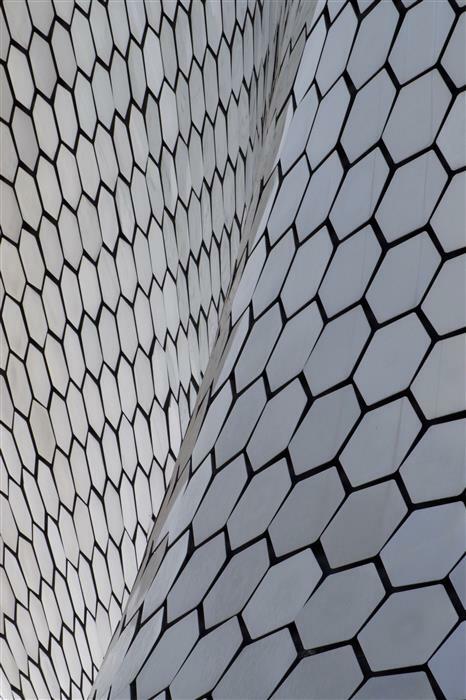 This image is a portion of the facade of Museo Soumaya, which is located in Mexico City, Mexico. 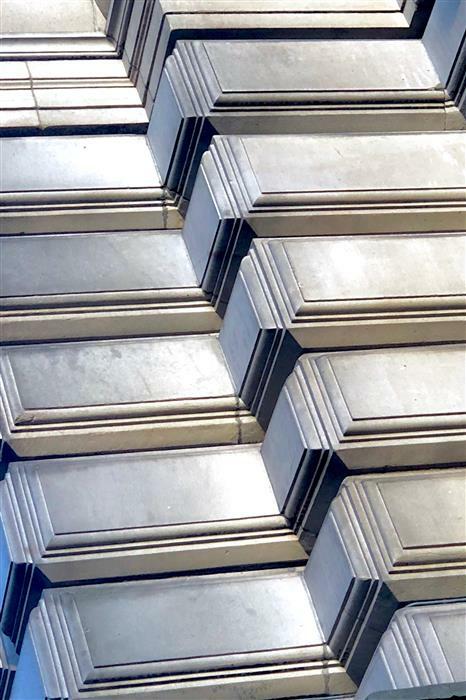 The building was created by Carlos Slim to house his private collection of 66,000 pieces of predominantly Central American and European art. 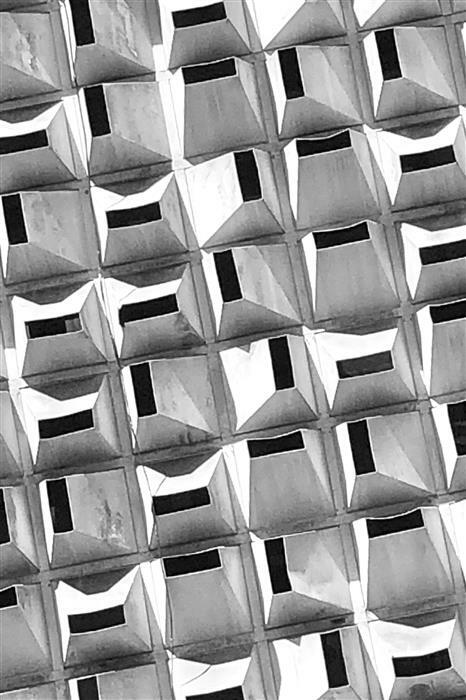 The entire facade is covered with 16,000 hexagonal aluminum tiles.